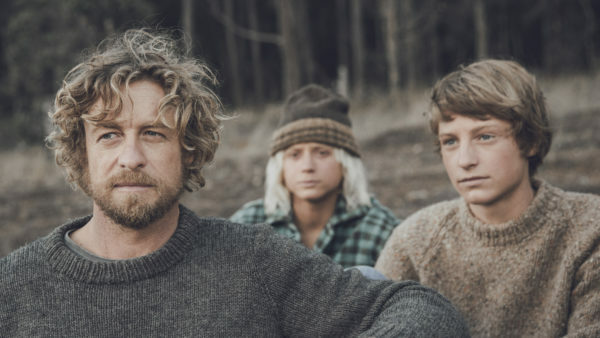 Simon Baker (L) stars in the drama, ‘Breath,’ which he also co-wrote and directed. Taking risks is sometimes the only way that people can truly discover their true selves, and uncover relationships and lessons that leave the most profound impact on their lives. That’s certainly the case for the protagonists in the upcoming drama, ‘Breath.’ In honor of the movie opening in New York City on June 1, and then in Los Angeles and a few select other cities on June 8, its distributor, FilmRise, has unveiled its official U.S. trailer. ‘Breath’s official distribution comes after it had its World Premiere at last fall’s Toronto International Film Festival. The movie is based on the award-winning, international best-selling novel by Tim Winton. The drama marks the feature film directorial debut of Simon Baker, who also penned the script with Gerard Lee. The heler also appears in the project with Elizabeth Debicki, Richard Roxburgh, Samson Coulter and Ben Spence. Two teenage boys, Pikelet and Loonie (Coulter and Ben Spence), are growing up in the 1970s in a remote corner of the Western Australian coast. Hungry for discovery, the pair form an unlikely friendship with Sando (Baker), a mysterious older surfer and adventurer who pushes the boys to take risks that will have a lasting and profound impact on their lives.